We are going to have a little fun with this workout, a little tricking or treating. Basically, you choose your own destiny but your destiny is a 50/50 chance with each exercise. Here is what you need to do. Grab two identical pieces of paper. Cut each piece of paper into 10 smaller pieces. On the one sheet’s 10 smaller pieces, write the word ‘Trick’ on each piece of paper. On the other one sheet’s 10 smaller pieces write the word “Treat’ on each piece of paper. Mix them all up together and put them in a bowl. Each round, you are going to reach into the bowl, without looking, and pull out one of the pieces of paper. If you get ‘treat’ you do what it says as the ‘treat’ exercise for that round. If you pull out ‘trick’ then you do what it says as the ‘trick’ exercise for that round. Each time you pull out a piece of paper, don’t put it back in. Okay here are your trick and treat exercises. 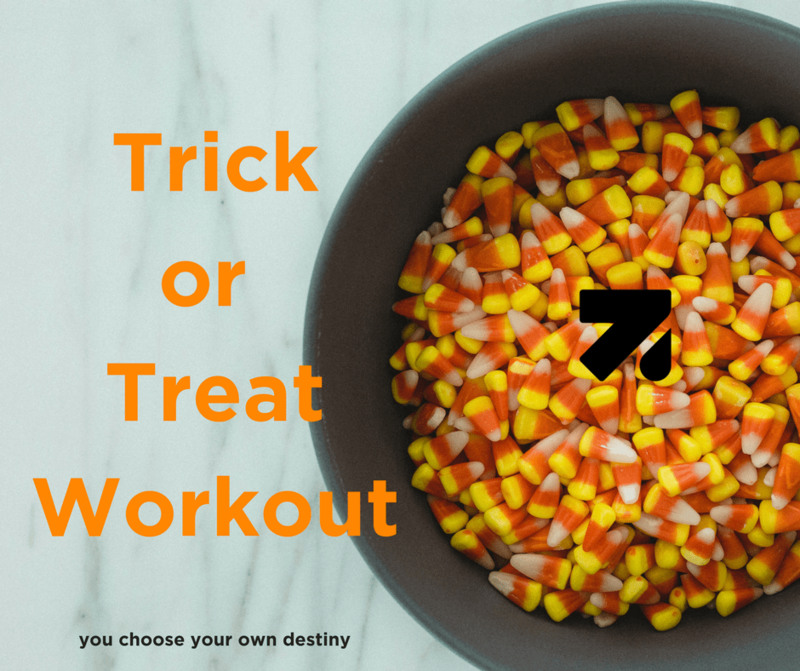 Round 10: Trick – 50 Burpees, Treat – You are done! Now if you really want to challenge yourself, do all of the ‘Tricks’ and give yourself no ‘Treats’!